Today in Australia there were two security scares for the royal couple, though we hope they didn't notice the first. 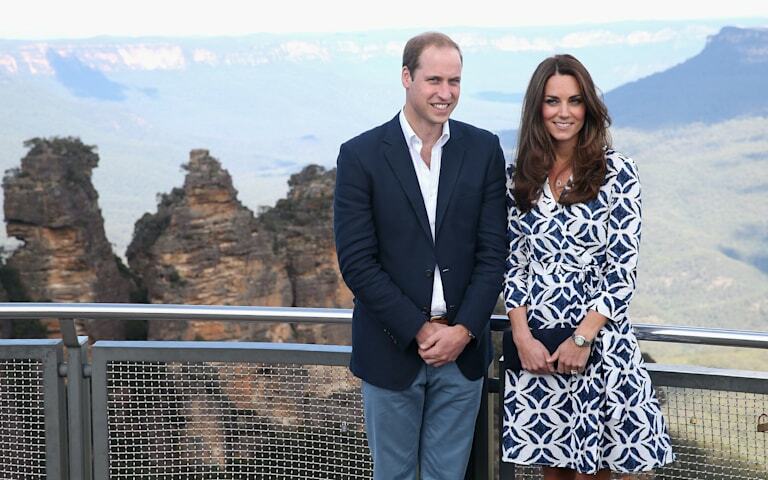 Police say two men were acting aggressively just yards away from William and Kate, allegedly harassing the crowd during the royals' visit to a the mountainside town of Winmalee. 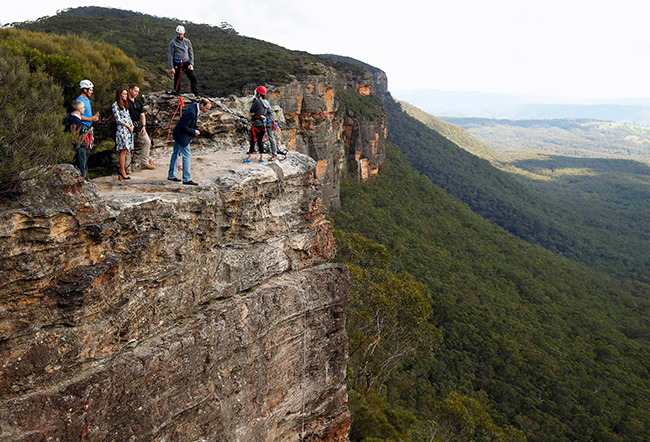 The royals were there to meet with families who had lost their homes from bushfires 6 months prior, and then see the majestic Blue Mountains. Kate was dressed in a stunning wrap dress by Diane von Furstenberg, which reportedly sold out within minutes! The "Kate Middleton Effect" at its finest. During their scenic tour, Prince William gave everyone a scare himself when he stepped just inches away from the edge of a 300 foot cliff. At one point, Kate is making hand gestures at him -- probably thinking the same thing we were: HRH needs to STEP BACK!